Former News International chief executive Rebekah Brooks has been arrested by police investigating phone hacking and bribery at the News of the World. In a statement the Met said: "The MPS [Metropolitan police service] has this afternoon, Sunday 17 July, arrested a female in connection with allegations of corruption and phone hacking. "At approximately 12.00 a 43-year-old woman was arrested by appointment at a London police station by officers from Operation Weeting [phone hacking investigation] together with officers from Operation Elveden [bribing of police officers investigation]. She is currently in custody. 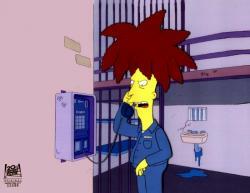 Inevitably Twitter erupted at the news, with the finest tweet coming from @LudditeWebDev: "Here's a picture of Rebekah Brooks in custody. http://t.co/7e0X6Iv"
Former Deputy prime Minister @JohnPrescott said: Tony Blair's aide Ruth Turner was arrested in a dawn raid. Coulson & Brooks were arrested 'by appointment.' It's not the dentists!.